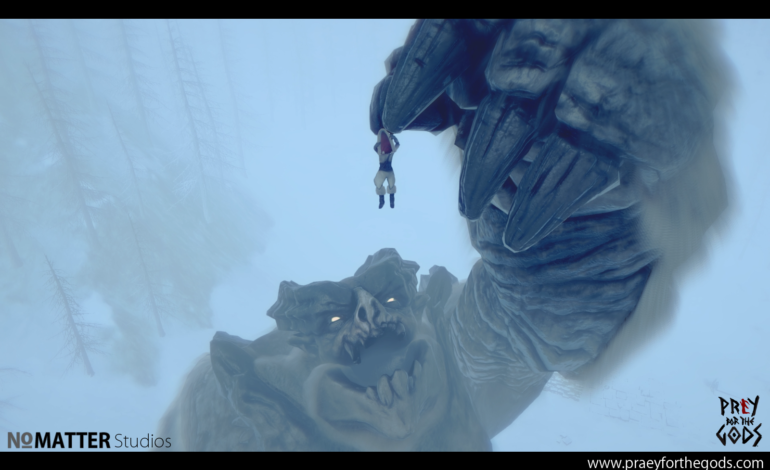 When No Matter Studios first launched its Kickstarter campaign for Praey for the Gods, many immediately labeled it as a spiritual successor to the 2005 Playstation 2 masterpiece, Shadow of the Colossus. The resemblance was uncanny; the crowdfunded title undoubtedly drew upon the unique mechanics and environmental design of the beloved classic for inspiration. From the giant, god-like beasts to the desolate wasteland to the combat system of scaling the mountainous beings, the whole experience seemed like a modernized approach to Wander’s journey. At this year’s PAX West, IGN’s coverage of the title shows all new gameplay footage that gave a more in-depth look at the combat elements as well as the main world. Of course, to simply dismiss Praey of the Gods as nothing more than a Colossus clone would be disingenuous. There are core aspects of the title that give the game more of an RPG feel. For one thing, Praey introduces an inventory system that allows the protagonist to pick up items and weapons that he may find in the world. While Colossus aimed to be an artistic depiction of man versus beast, stripping the gameplay of everything except for a sword, a horse, and sixteen bosses that are themselves the “levels” of the game, Praey opts for more complex mechanics. Parts of the game involve surviving the harshness of the map, and players can only use equipment that they stumble upon in the dynamically changing and frozen hellscape. The addition of temples, hunting, and caves also injects a degree of exploration and puzzles into the mix. Among other differences, the settings themselves are also very distinct. Shadow of the Colossus painted the world in a bleak, melancholic stroke of dilapidated, post-apocalyptic fantasy; Praey uses the world as an enemy within itself, a constantly changing adversary that forces challenge upon players in ubiquity. As demonstrated in the gameplay footage, the deep snow fatigues our protagonist, and the hefty blizzards often obstruct the view. While it is easy to scorn Praey for the Gods as a mere clone attempting to capitalize on the nostalgia of the bygone era, it is unfair to judge its merits before the final product has shipped. From the short video available at PAX West, it is already quite a feat that a 3-man team has managed to craft such a polished-looking homage to one of the pinnacle entries in video game history. 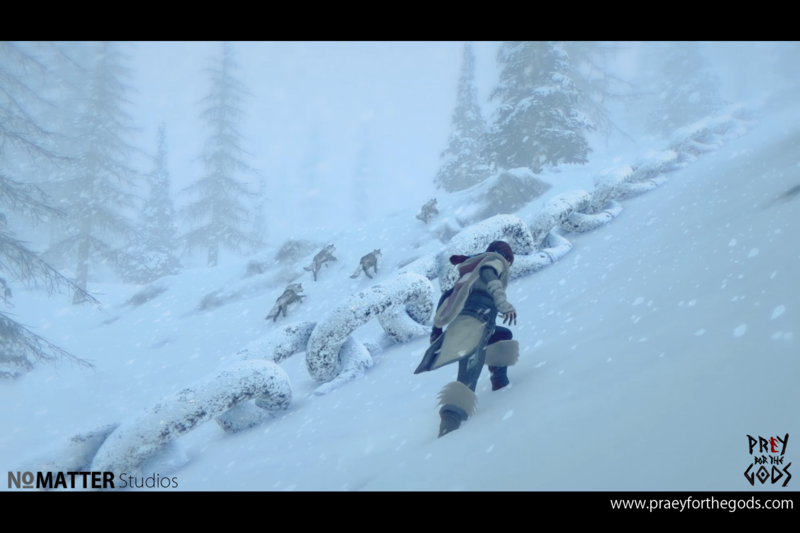 Praey for the Gods has no concrete release date as of now, but will launch on Windows PC (via Steam), PS4, and Xbox One.